Who doesn’t love a great burger? A national dish of sorts in America and one of America’s biggest cultural exports to the rest of the world. Brought to the US by German immigrants in the 1800s – a minced beefsteak patty originating in Hamburg – this soon became THE all American sandwich. 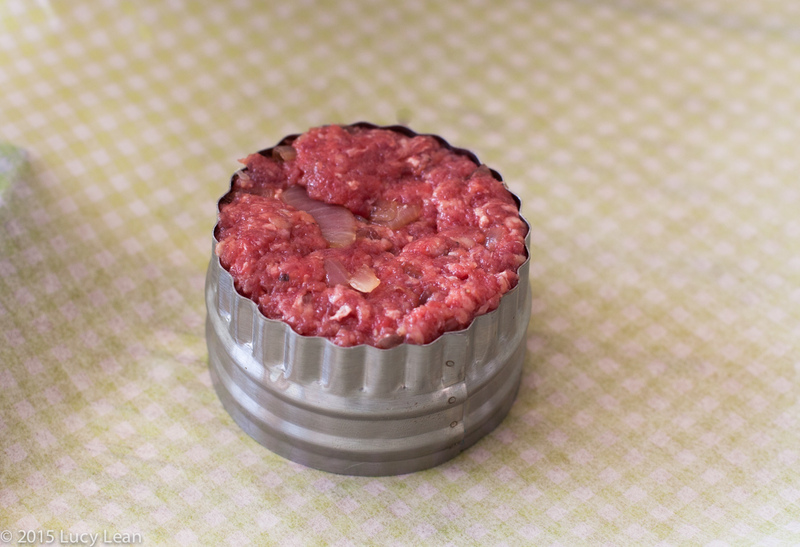 And here’s the best part – it’s super easy to make a delicious juicy hamburger at home. 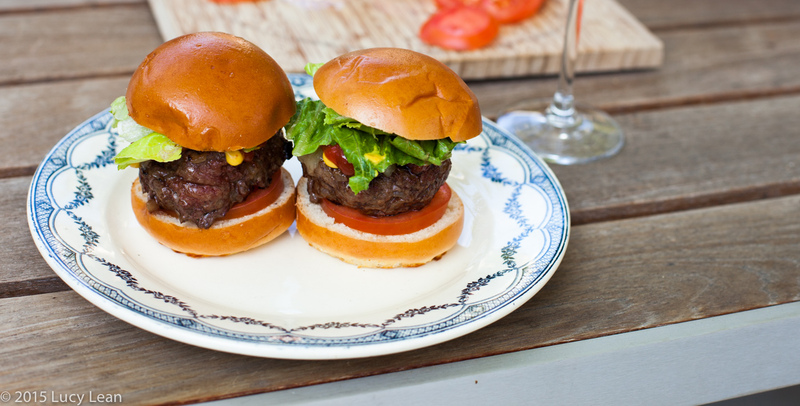 Grilling the perfect burger is not difficult – so fire up the grill and let’s get started. 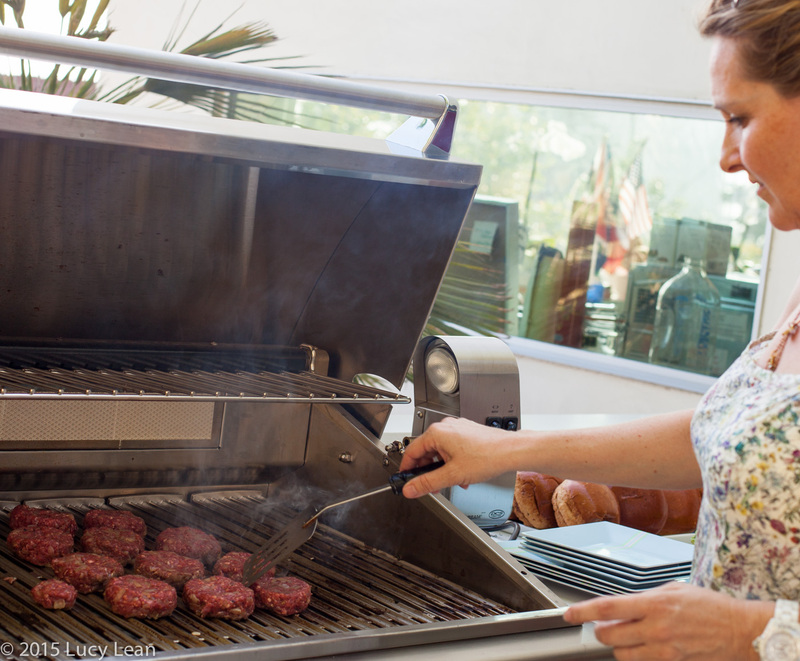 I’m loving my DCS grill – it’s easy to use and the results are beyond delicious. I’m super excited to see what the chefs at All-Star Chef Classic will grill on their DCS grills on March 14th – have you bought tickets yet? The Kitchen Kids event is already sold out and Grill and Chill will sell out as well – so make sure you grab a ticket before they all go. It’s going to be a magical night – not sure if any of the chefs are grilling a burger but I do know Nancy Silverton has requested to be at the grill – along with 9 other chefs from around the world. And then there are the 10 chefs who are chilling – funny how most of the chefs asked to chill when I had expected them to want to grill. I have gathered all the tips from lots of great chefs and incorporated them into this ultimate burger recipe – from Nancy Silverton’s burger blend that I featured in Edible Los Angeles to Michael Schlow’s burger tips for Made in America – this really is the ultimate quarter-pounder burger – and easy to achieve great results every time. Nancy suggests using her special blend of beef that can be bought at Huntington Meats at the Original Farmers Market at 3rd and Fairfax. In the Nancy Silverton Burger Blend there is about 16 – 18% fat. 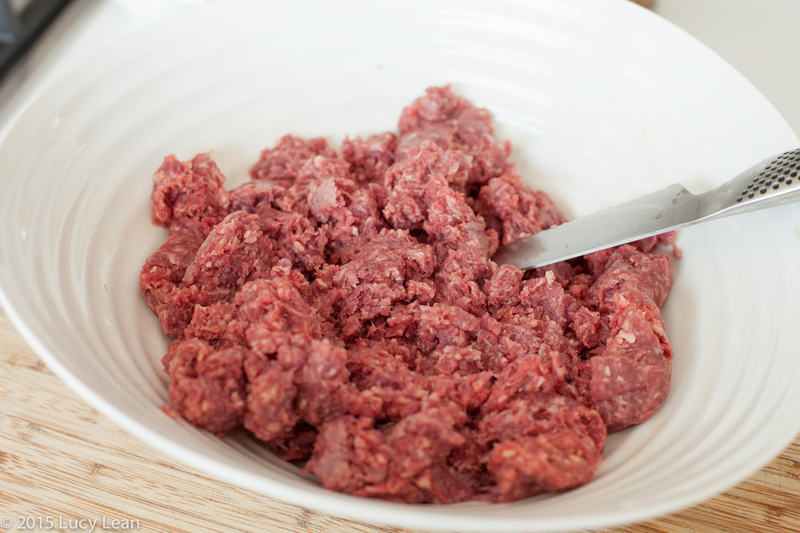 I like to use ground organic grass-fed beef that is around 80-85% lean which is in line with Nancy’s preferred blend. I also like to add a couple of tablespoons of olive oil to the meat before you make them into patty’s – this is a tip I learned from Schlow for making the juiciest of burgers. 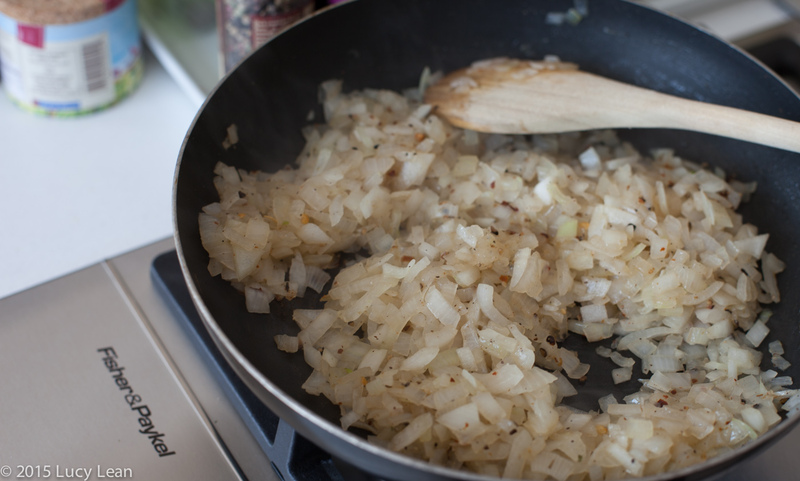 I cook the onions with some special spices/salt that I got at the market in Gordes in Provence – it’s meant to be used for cooking steaks – but I like the spice and saltiness that it adds to the burger. I don’t like raw onions and this helps caramelize the onions within the patty. You can add fleur de sel, a pinch of red pepper flakes and lots of ground black pepper to the onions as they cook to get a similar taste infused into the onions. Cook the onions in a large non-stick frying pan over medium to high heat with some olive oil until translucent and soft. Let the cooked onions cool slightly then add to the meat in a large bowl. Do not overwork the meat but mix in the onions until incorporated. Using an electric scale measure out 4oz of the meat and then pack the portion of meat into a 2 3/4 inch round cookie cutter. This gives you about 12 quarter pounders – actually you’ll probably end up with a baker’s dozen because you added the onions. 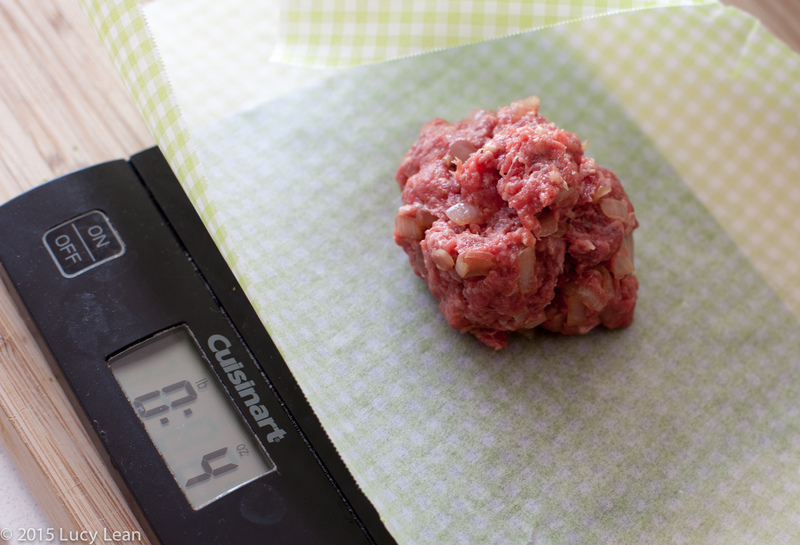 Transfer to parchment paper and press out of the cutter and then gentle flatten the patty to about an inch in height. 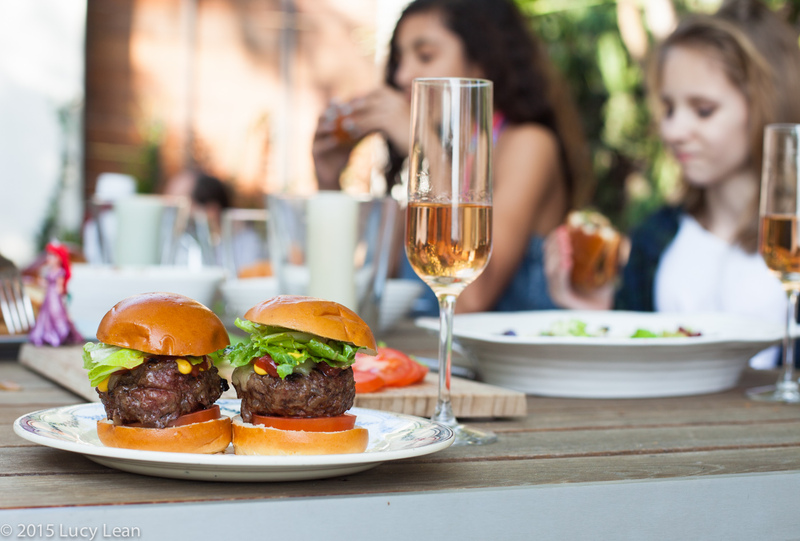 Nancy Silverton suggests making a dimple in the center of each burger with your thumb, so the burgers’ shape stays uniform as they cook and the tops don’t dome. Refrigerate the patties until you are ready to grill. Heat the grill to high. 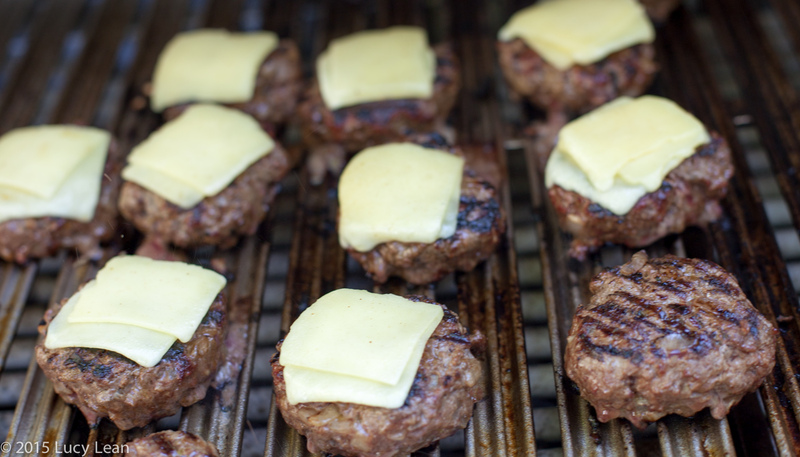 Remove the patties from the refrigerator and let stand at room temperature whilst the grill is heating up, about 10 minutes. 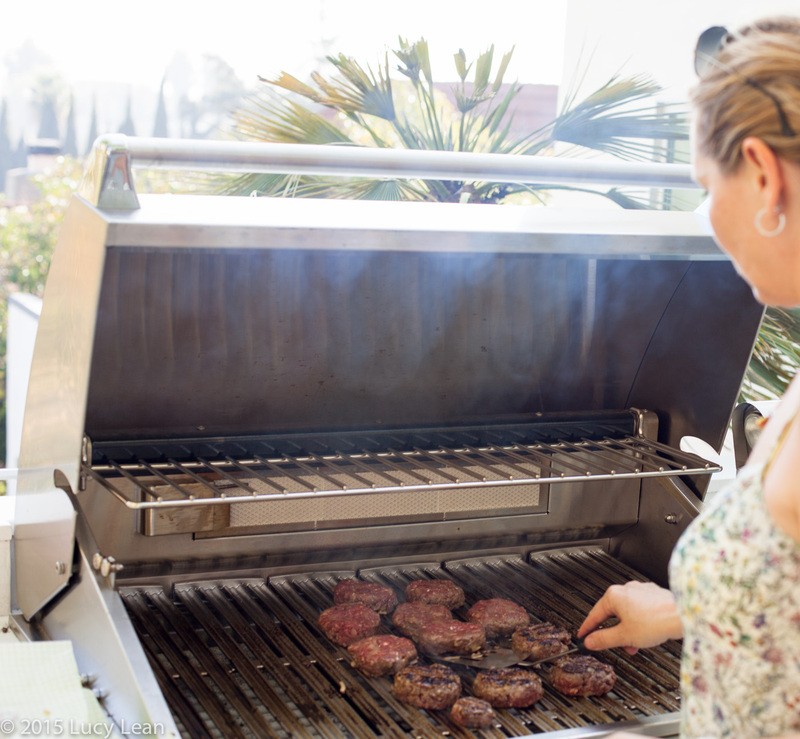 Brush the hot grill with paper towels soaked in Canola oil to create a nonstick grilling surface. Turn the grill down to medium-high heat and place the patties onto the grill. Cook for 4 minutes for rare and 6 minutes for medium and then flip and repeat on the other side. The burgers should turn easily without sticking. 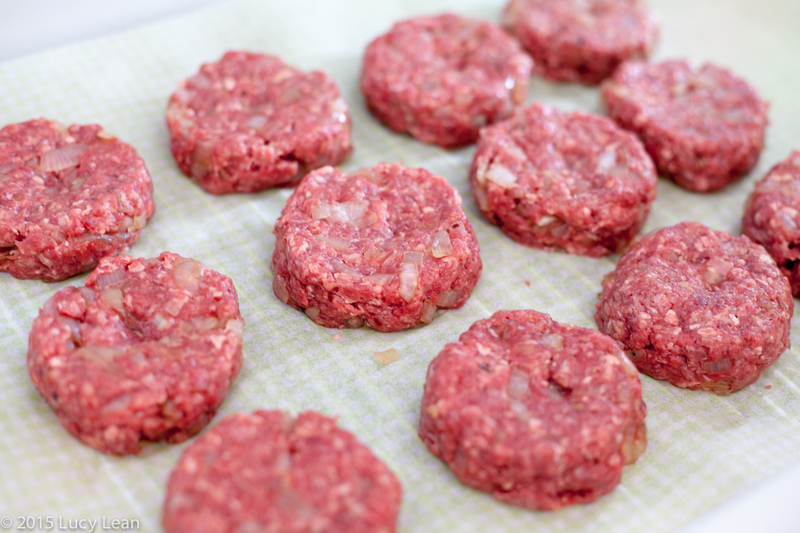 Schlow suggests rotating the burgers through 90 degrees to “grill mark” them after a couple of minutes – I tend to leave out this stage. Once you have flipped the burgers and they are almost cooked place a couple of slices of cheese on top of each and let it melt. On the sides of the grill next to the burgers place the hamburger buns cut side down and toast for 30 seconds, transfer to the upper rack to keep warm. 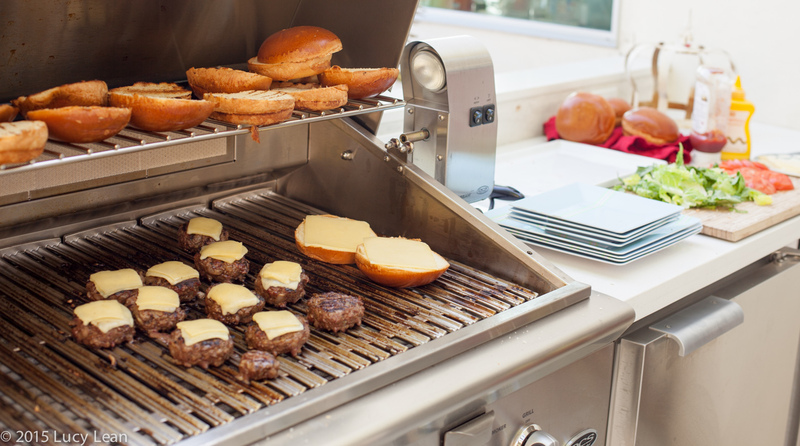 Once the burgers are cooked and the buns are toasted turn off the grill and shut the lid for 3 minutes – this will melt the cheese into the burgers and let them rest before serving. Serve the burgers immediately, semi-assembled, so that everyone can add their own choice of fillings – sliced tomato, lettuce, mayonnaise, pickles, ketchup, mustard and relish – and even bacon and avocado. Everyone likes a side of fries and for convenience I like to cook up some oven fries to serve along side. Wonderful tips and recipe. Can’t wait to try these out and see if they live up to the claim. I’m sure they will be great!